Alfra started out more than 40 years ago serving the control cabinet and switch gear construction industries in Germany and now has grown to become a global supplier to the electrical, fabrication and construction industries. 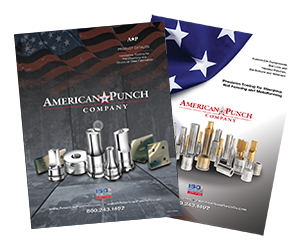 Fabricators around the world know they can rely on Alfra’s accumulated experience – just as they can rely on American Punch’s in-house expertise and dedication to quickly manufacture and deliver the replacement punch and die sets they need for their Alfra portable punches. 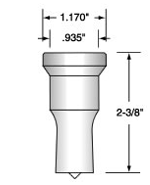 Working on a routine basis with users of Alfra’s C-frame punches, American Punch has an immediate understanding of their needs and expectations, along with the ability to customize punches and dies specific to their situation. Don’t see what you need here? 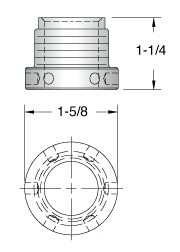 Contact us – we can make it for you! 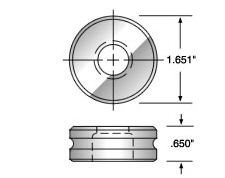 Select an option below to request a quote for the punch and die set you need for your Afra tools – or call now to speak with a knowledgeable American Punch sale representative: 800.243.1492.